We know WHY we volunteer. 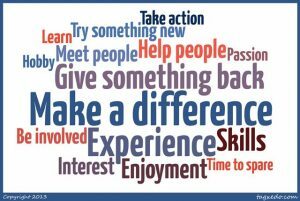 Passion to help others, learn about your community, make a difference in your community, and so many more reasons…and WE have 12 more reasons for you to take action on for Gwinnett Great Days of Service October 20th and 21st, 2017! 5. Create a Clean, Happy Space! 7. Clean up a Neighborhood! 10. Fix a Deck and Help a Family in Need!